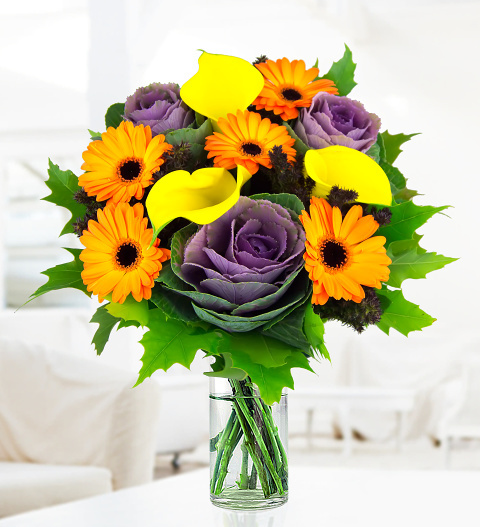 Autumn is a wonderfully colourful season and our florists are making the most of nature's beauty by arranging the finest yellow calla lilies, germinis, brassicas, oak leaf and phlox together in ths bouquet. Perfect for all occasions and recipients. You can even pamper yourself and brighten up your own home with these superb flowers.